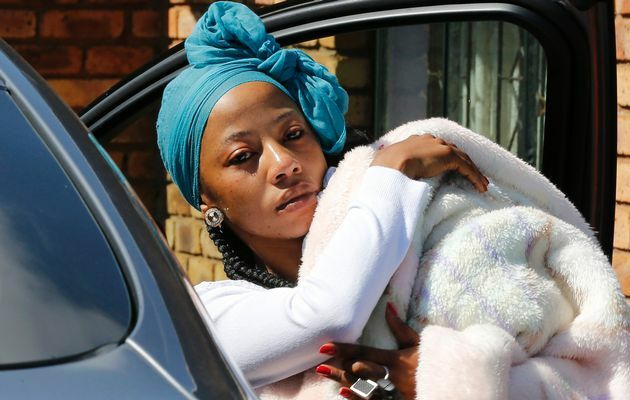 Bafana Bafana captain Senzo Meyiwa’s family have barred his girlfriend and mother of his child, Kelly Khumalo, from attending his funeral in Durban. “The service is open to anyone who wants to come to pay their last respects to Senzo, but that girl [Kelly Khumalo] is not welcome. She mustn’t even think about coming,” Meyiwa’s father, Samuel was quoted as saying to the The New Age. “Senzo and his friends were leaving when the two entered the house. One of the attackers bumped into the first friend and a scuffle ensued,” Taioe said on Monday. A reward of up R250, 000 was being offered for information that could lead to the arrest and conviction of the killers. Police have released identikits of two dreadlocked men with gold teeth believed to be involved in Meyiwa’s shooting. Is the Rude fired ?? Aaaa koma Nyamilandu zamukanika apa.